Immerse yourself in the comfy atmosphere of Hotel Lucrezia, a beautifully restored traditional house; use the food as a shortcut to approach the Sinis unique culture making cooking classes and market visits; enjoy the delicious wines making cellar tours and tastings; learn about the immense archeological treasure visiting Tharros, the Mont’e Prama Giants and Nuraghe Losa; be overwhelmed by the beauty and sea colours of Mal di Ventre island; be amazed by the uncontaminated quartziferous gritty beaches considered a jewel of Sardinia; enjoy the pristine Sinis Peninsula park making local fish-farm visits and trekking to the costal towers; get a sense about their customs through traditional music demonstrations and dances. Flat with a poetical acceptation. It’s difficult to find words to describe such a marvellous place. Fairly far from the most widely-known and summer-crammed parts of the island, the marine protected area of the Sinis Peninsula is a world apart. Its rich wetlands with crystalline lagoons, several kilometres of white quartz beaches and the crystal-clear sea, the swarming flocks of birds dotted every now and then by pink flamingos are framed in the low-lying green environment that appears uncontaminated by any human activity. The territory comprised in the protected area is extremely heterogeneous, with naturalistic and archaeological features of immense importance. The shape of the coast is in some stretches low and sandy, in others rocky with small reefs or with imposing cliff formations. 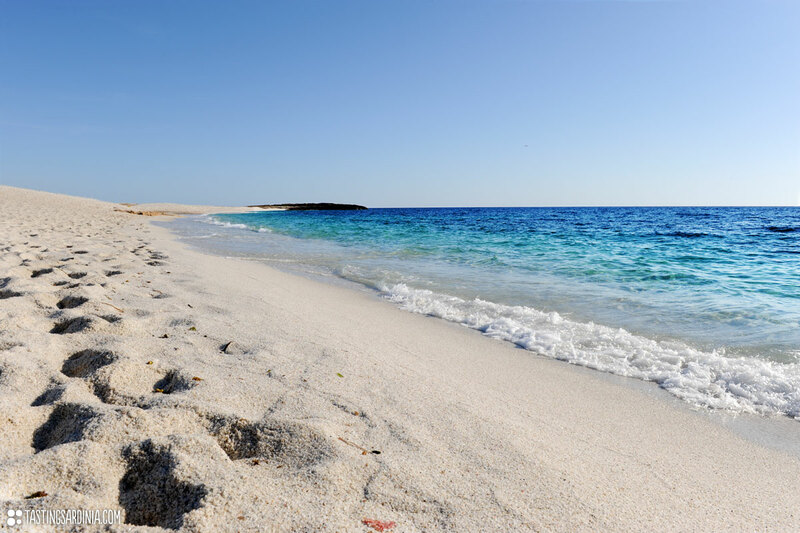 Towards the north the coast is characterized by low reefs and beautiful long quartziferous sandy beaches such as Is Arutas and Mari Ermi, with stretches of dunes towards the hinterland covered by a typical Mediterranean vegetation. All this countryside richness only smeared by the blooming of the wild flowers was not neglected by the ancient populations: in fact, the whole peninsula has been settled since the 5th century BC. The almost 100 megalithic Nuraghes litter the landscape and the stunning Punic-Roman site of Tharros place proof to the area’s former influence. 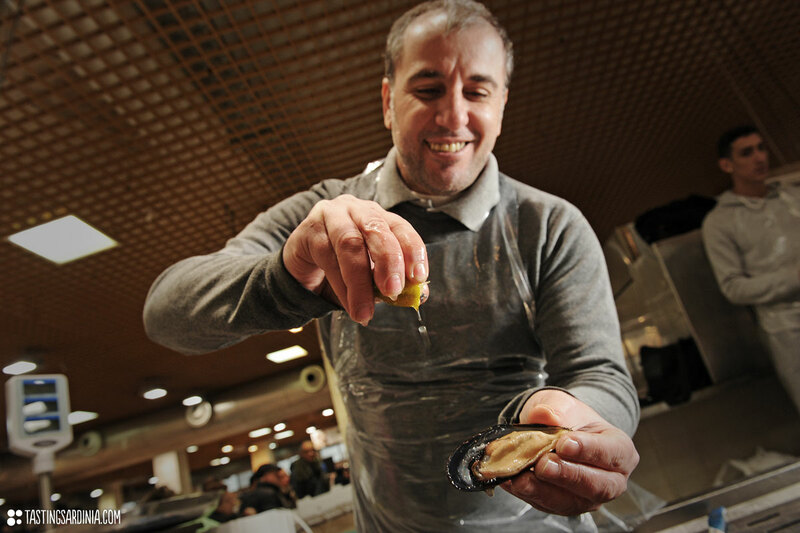 The mild and hospitable character of the natives, complete, together with the rich food tradition the canvas. On the menu the meats of the “slow food labeled” red ox, the delicious and unique casigiolu cheese and last but not least grey mullet with its unbelievable roe bottarga: the Sardinian Caviar, obligatorily to be washed down by a sip of the local vernaccia wine. The beautiful Hotel Lucrezia, the core of our cooking lessons, is an ancient house located in the village of Riola Sardo. It’s the closest to the seaside among our locations, consequently the experiences that revolve around this dwelling are actively characterized by sea products. In this experience you will discover all the secrets of how to find, buy and cook a smooth and delicious Sardinian fish soup with a huge selection of different species cooked all together in the same cauldron. You will be taught all the tips to recognize the freshest fish, which choice works better for a perfect combination of flavours according with what is reasonably fresh and priced and you will learn lots of traditional recipes that are easy to reproduce at home with your friends. Eating in the Pontis fish farm is not only guarantee of good cuisine and freshest products, it is also a travel back in time to discover and appreciate the precious traditions of a territory rich in charm and magic. 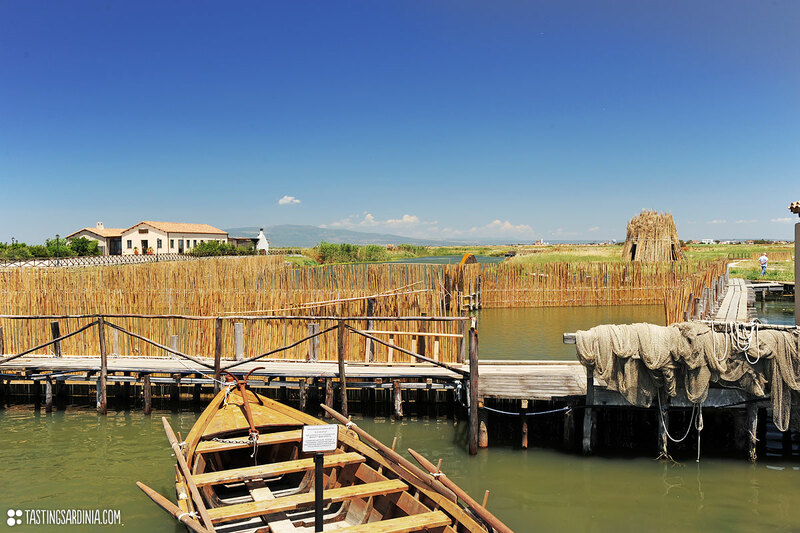 Within the main Peschiera Pontis complex, and just two steps away from the famed Cabras lagoon you will have the opportunity to visit the structures where, techniques and ancient tools for the farming of the grey mullet are jealously kept. In this unique environment you will be surrounded by the simplicity, spontaneity and innate sense of hospitality of the Cabras fishermen. The renowned guide book Lonely Planet write that: “the stunning backyard oasis of the Hotel Lucrezia is just waiting to be lived while sipping a glass of white wine resting under the cool pergola”. Now try to imagine yourself immersed in this exclusive ancient house, enjoying the garden breeze while taking part in the beautiful formative wine tasting we will have organized. The tasting will be mostly centred on sensory examination and evaluation of several white and red wines. The professional wine tasters will help you describe the range of perceived flavours, aromas and general characteristics among the wines chosen. 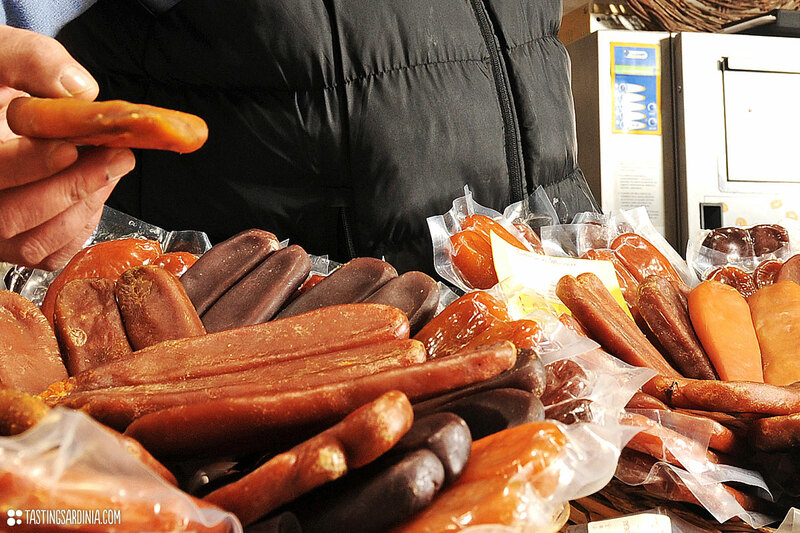 Bottarga has a famously rich, enticing flavour. Once known as the poor man’s caviar, this product is the salted, pressed and dried roe of grey mullet (lissa in Sardinian language, muggine or cefalo in Italian). 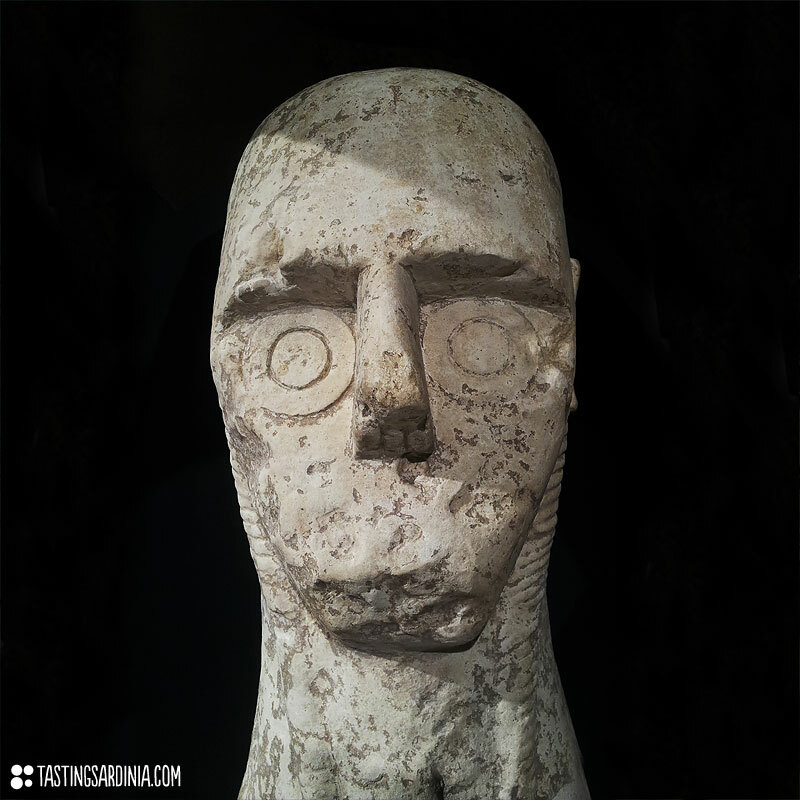 It is a specialty of Sardinia and Sicily. To make bottarga, the entire long, fat roe sac is salted and massaged by hand over several weeks to eliminate air pockets. 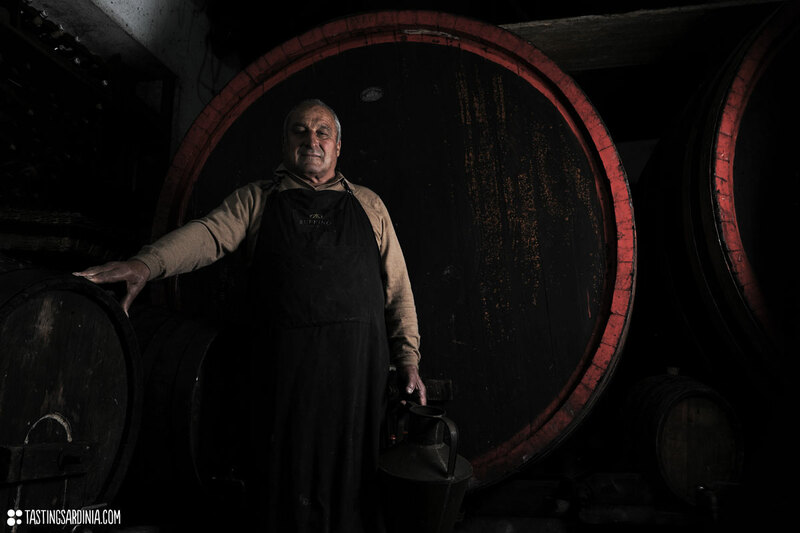 The roe is then pressed using wooden planks and stone or marble weights and sun-dried for one to two months. The heritage of farming the nutrient-rich sea salt of the tidal marshes and using it to preserve the marshes seafood is maintained to this day exclusively in in the Sinis peninsula. You will have the chance to learn this ancient tradition of air-curing grey mullet from the Cabras fishermen, who brought the custom to the rest of the world. 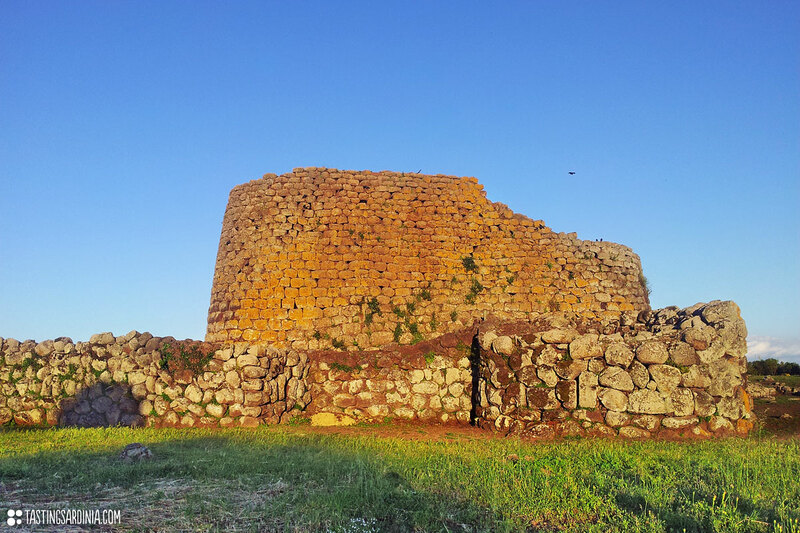 The Nuraghe Losa is considered to be one of the most well preserved Nuraghe of the whole island. 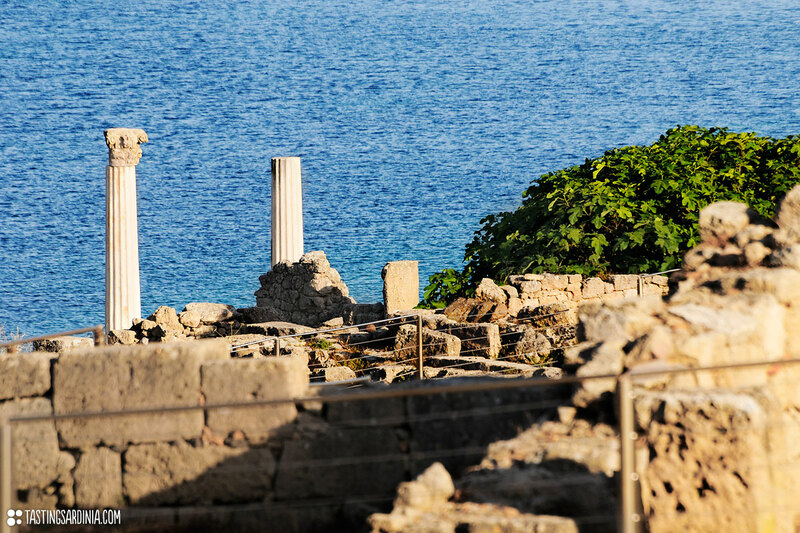 Famous also for its size and particular structure it is completely surrounded by a wider wall, which encoloses the settlement of the original village of huts and other additional buildings constructed in the late-Punic and imperial Roman periods. 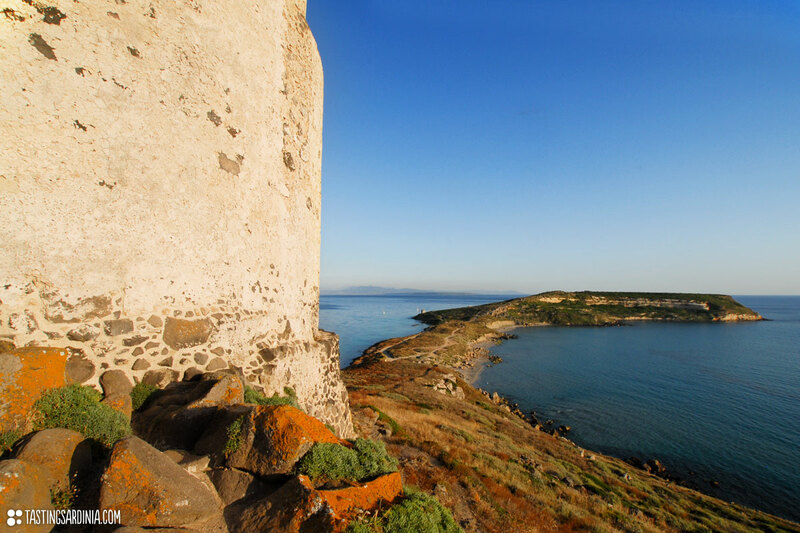 Different authors ascribe to the territory of Cabras five coastal towers, three of which are directly situated on the coast. They had the task to watch over the coasts in order to prevent the frequent incursions by the so-called barbareschi, as well as to prevent the landing of infected boats or boats suspected of smuggling. The surveillance was particularly important near the fish pools, like in Cabras, which was more than once subject to pirate attacks. The Island of Mal di Ventre is what has remained of a large granite outcrop which covered the whole western coast of Sardinia in very ancient times. It has a surface of about 80 hectares (about 200 acres) and is about 5 nautical miles from the coast; it maximum height on the sea level is less than 20 metres (65 feet). The weathering of its rocks feeds the sands of the quartziferous beaches of the Sinis. The landscape is characterized by the intrusive granite rocks with particular shapes resulting from the erosive action of the often exceptional forces of nature which sometimes create shapes which have been transformed by the popular imagination into persons, things, or animals. The whole tiny island can be easily strolled on foot in less than 2 hours and conformation of the two sides (north and south) is incredibly different. The landscape and the sea colours are extremely compelling. Here is the perfect spot to enjoy a walk through the peculiar wind-bent scrub or to bath while snorkelling among the colourful fish of the protected park. 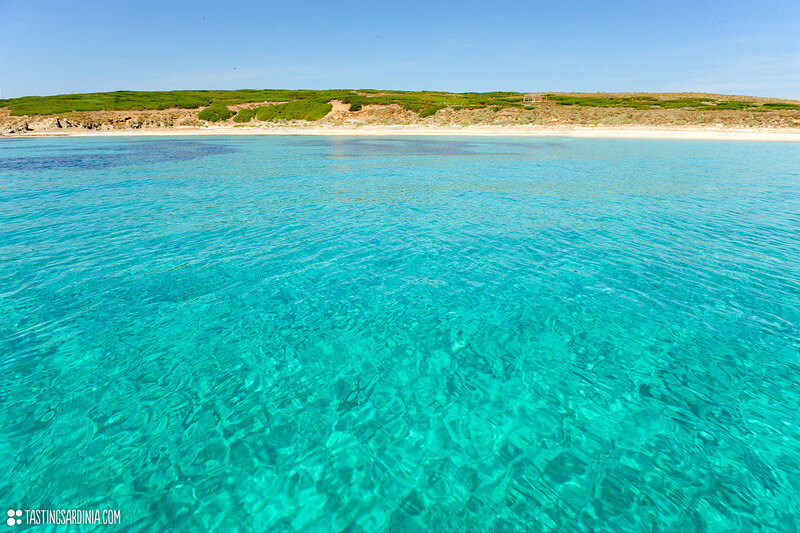 The Marine Protected Area of Penisola del Sinis-Isola di Mal di Ventre is characterized by fifteen kilometers of amazing and uncontaminated beaches. The most pristine and sought after are Sa mesa Longa, La Caletta, San Giovanni, Funtana Meiga, Maimoni, Is Arutas and Mari Ermi; the latest two are several kilometres long and are just stunning. This white strips of land are brilliantly matched with the colours of the sea that turns slightly to green and blue. This tract of coastline differs from the other coasts of Sardinia, because they are composed of porphyritic granite instead of the common calcareous rock. The seabed consists of colourful quartz grains which are the result of a long chemical evolution and atmospheric processing. 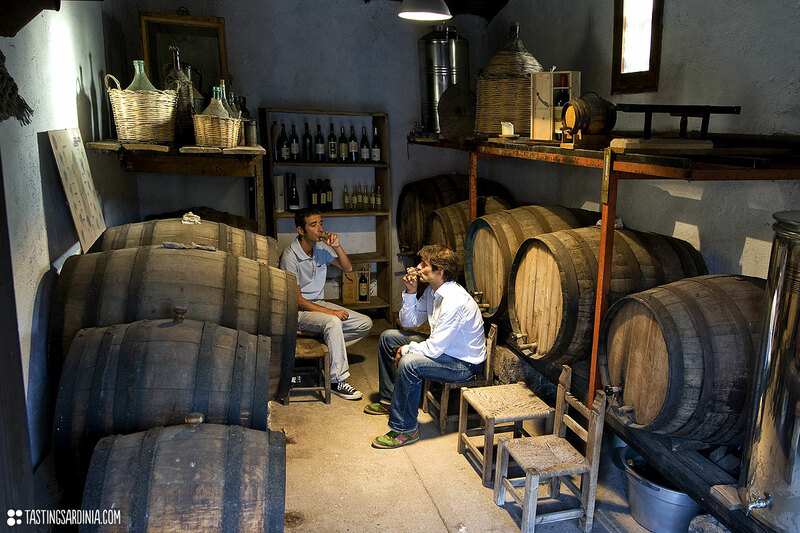 This corner of Sardinia is unique and wild. It provides the basic services, but it is a destination far from the mass tourism of certain parts of the coast.